Photo credit Paul Coker Photography. On November 15, Independence Blue Cross won the Excellence Award for Diversity at the HR Department of the Year Awards. 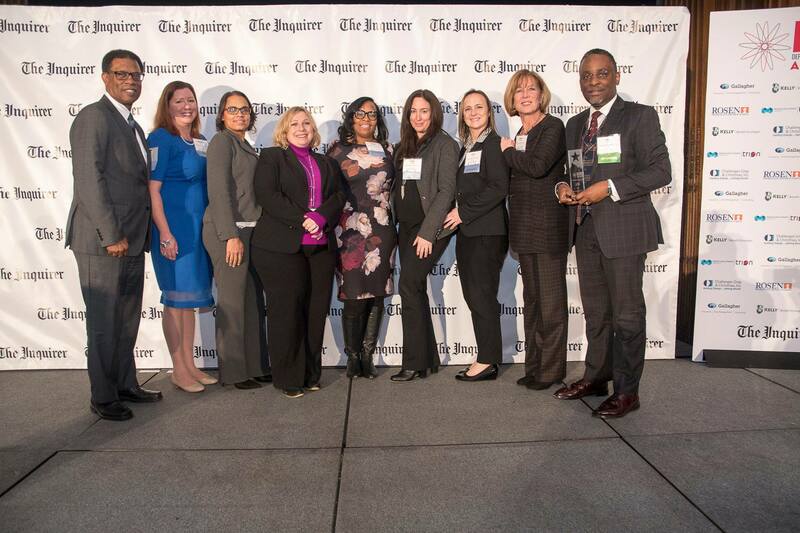 Judged and selected by a panel comprised of some of the Philadelphia region’s most pr​ominent companies and universities, the HR Department of the Year Awards recognize companies of all sizes across multiple categories. The Excellence Award for Diversity focuses on the work done by the Independence Human Resources department, however Independence’s commitment to diversity and inclusion can be traced back to initiatives touching every division in the company – from Associate Resource Groups to the Blue Crew to the organization’s supplier program. Congratulations to all the 2018 HR Department of the Year Award winners, including Independence customers Qurate Retail Group and TMNA Services, LLC! The Delaware Valley HR Department of the Year award was founded in 1998 by Scott Rosen, President of the Rosen Group, who thought human resources professionals should be recognized for the work they do to promote growth and change within organizations. The Rosen Group has since partnered with Trion, Challenger Gray and Christmas, and Philadelphia Media Network to “enhance the prestige and scope” of the program.